How many of the 2018 Grammy Nominated Christian songs, artists and albums are you familiar with? Hear your favorites and be introduced to new performers to love in this GodTube playlist of Grammy nominees. 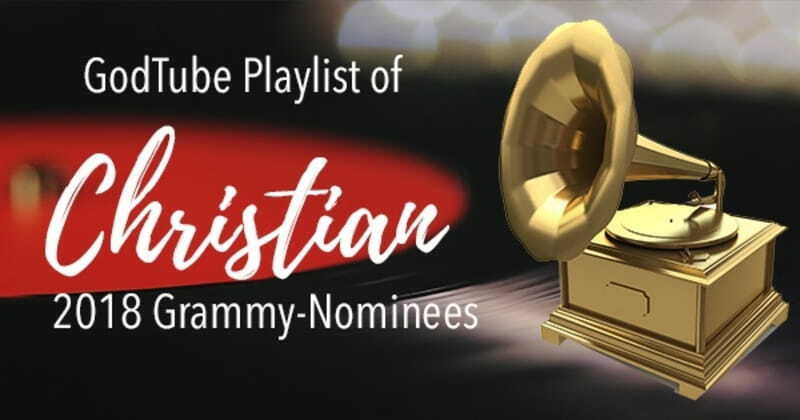 All of us at GodTube are so excited to see so many of our favorite Christian artists getting recognized this year with Grammy nominations! The list includes some of our all-time favorites like Casting Crowns, Mary Mary, MercyMe, Hillsong Worship and Natalie Grant. And we love seeing Danny Gokey, Tauren Wells and Zach Williams on the list! Here is a list of all the nominated artists, albums and songs. Then scroll down to enjoy a playlist of some of our favorites that are featured on GodTube!